that Amazon has cut prices on some paperbooks (p-books) from Penguin to $9.99. Why does that matter to people who use EBRs (E-Book Readers)? This may be part of a negotiation going on over e-book prices. There are no e-books from Penguin in the US Kindle store that have been published since April 1st, 2010. That’s the date that several publishers implemented the Agency Model. Amazon has reached agreements with four other agency publishers (HarperCollins, Simon & Schuster, Hachette Group, and Holtzbrinck (which includes Macmillan). Penguin and Amazon are still negotiating. Penguin e-books published since March 31 2010 are not available in the Kindle store, and the old books are apparently under the old wholesale model. We don’t know what the sticking point is. We don’t know if it’s on Amazon’s side or Penguin’s side, although I guess the latter (since Amazon reached an agreement with four other publishers). This has gone on for almost a month. During that time, authors have lost royalties they would otherwise have earned. Penguin has lost money, Amazon has lost money. I’ve read several people saying that this might be enough to drive them to a competitor. That, by the way, seems ill-advised…there are a lot more in-copyright books available from the Kindle store than those competitors overall. Let’s postulate the hypothesis that Penguin wants something Amazon doesn’t want to give them, something more than the other agency publishers wanted. What can Amazon due to get them to an agreement? With Macmillan, Amazon took them off sale directly from Amazon. That was bad publicity for Amazon…many people (especially) authors expressed anger about the inability to buy the books. Lowering prices on the p-books, though? That definitely makes Amazon look like the good guy. It doesn’t take any books off sale, and in fact, makes them more easily available to readers. Does it hurt Penguin? Not directly. They get the same amount under the wholesale model, regardless of what Amazon charges a customer for it. This is key: Amazon is probably taking a loss on many of these. I took a look, and actually didn’t find all that many Penguin 3-books with the $9.99 price. However, I did find a few. I found a popular one* at $9.99 with a list price of $27.99. Under the traditional arrangement, Amazon probably paid $13.98 to Penguin for that one. So, they are losing $3.99 for each copy. That’s good for readers in the short run. Assuming Amazon sells more copies at that price, it’s good for Penguin in the short run. It’s bad for Amazon in the short run, of course. People might guess this is just a coincidental sale, but that seems unlikely. I don’t think this pricing can go on for very long, so if you still buy p-books, look for bargains. I’d love to know what it is Penguin wants, but I respect that the negotiations are happening in private. * I’m not naming the individual title because Penguin blocks text-to-speech access in at least some of their Kindle editions. Tip of the day: when you use your 5-way to move over an image an a Kindle and see a magnifying glass, you can click to zoom that image. Hobb is a bestselling and award-winning fantasy author. This book features humans and dragons working together. It’s probably worth noting that this is the first part of a “duology”. It’s big enough at 756kb to be a full novel (Amazon figures 800kb average), but you might end up with an incomplete story (like only reading one of the Lord of the Rings books). Putney is a RITA winning romance author. This is the first of a new series, set in 19th century England. Amazon just added that statement on the front page of their site. For comparison, I took the bestselling book* (not Kindle) book on Amazon that has actually been released (the actual bestsellers are pre-orders). As you can see, the average rating there is much higher than for the Kindle…so it’s because they are counting the number of the 5-star reviews, not the percentage. I’m sure the ratings for the Kindle are relatively high, and it takes commitment to actually write a review, but this claim is based on volume. You know how reading seems like a private experience? Maybe you’ve been involved in a good book somewhere public…on a bus, on a park bench. You get that kind of creepy feeling, and you realize that someone is looking over your shoulder, reading your book. Isn’t your natural inclination to twist slightly, turn in your seat, rotate your hand a bit…so they can’t see it? On the other hand, have you ever made somebody listen while you read a paragraph out of a book you found especially amusing or enlightening? Have you ever sent somebody a favorite quotation from a book…or just quoted it from memory? I certainly do the latter…share quotes from books. I love quotations, and I plan to do a book of them at some point. I’ve even started to put some out in another blog of mine, The Measured Circle. I suggested in an earlier post some ways that e-books might become more interactive experiences. The fact that they are (or can be) connected to the web opens up a lot of fascinating possibilities. Amazon has recently implemented two new web-enabled elements to Kindles. One is here now: the ability to see the most highlighted books and passages. The second one comes when you get the latest update: the ability to tweet passages (share them on Twitter) and add them to your Facebook page…directly from the Kindle. Let’s take a look at these two. A tiger at the (aggre)Gates? There is certainly some interesting data there for sociologists and marketers. Before we look at some of that data, we have to ask: what does it mean when someone highlights a section? Do they do that because they like what it says? Do they do it because they want to share it with others? Do they simply do it to make it easy to find again? My guess is that all of those are true some of the time. If you think you might have trouble remembering who someone is, you might highlight the section that introduces that person. Yes, you could just bookmark the page (Alt+B works), but you can see your highlights without jumping around in the book, so you can be much more specific about what is the important point. That doesn’t mean you think the writing is particularly good, just that you want to get back to it again quickly. I’ve even deliberately highlighted errors in a book, so I could send them to the publisher for correction in future editions. That doesn’t mean I particularly liked that part, of course. That last one is particularly fascinating to me. One obvious enhancement is for Amazon to let us search for words within the popular highlights. That could let us discover a lot of books! For example, you might want to find all of the popular mentions of…Benjamin Disraeli. From there, you certainly might buy a book that had a particularly good (and popular) reference. I tried doing it with Google, by the way…it might just need a day to index, but I didn’t get any results using a site search. The most highlighted book of all time (so far) was the biggest e-book* of last year, a fiction title, but a dense one. Was it more highlighted because it was so popular? Or were people really trying to track things more? The most popular passage in it was highlighted by 898 Kindleers. They show ten passages, the least popular having been highlighted by 265 Kindleers. Interestingly for a title with significant Christian themes, the total count right now is 6636. For the third one, there are ten passages…but some of the individual passages are higher than the Bible ones in count! There’s a single passage with over 1400 highlightings. Obviously, the most highlighted rationale isn’t as obvious as it might be. 😉 It may be that there are many highlightings per book that we aren’t seeing. There might be fewer Kindleers highlighting that Bible, but highlighting many more things. If we look at the most highlighted passages, that’s where we can see some of that impact. Five of the most highlighted are from the #3 most highlighted book, three are from the #1 most highlighted book, and none are from the Bible. I started digging around to see how far it would go. When I looked at passages, I got as high as 130,790…and the lowest number of Kindleers who had marked it was 3. My guess is that if three people highlighted a passage, it gets on the list. A couple of navigation tips: when you find a highlight, you’ll see the name of the book and the author highlighted. Clicking either of those will bring you to the highlights with them in it. You can enter your own keywords. That found me books by the author Charles Fort. I seem to just find books with that in the title (although when I put in “Kindle”, I got some of Amazon’s public domain titles as well…maybe it says “Kindle edition” in some hidden manner?). I’ve already seen threads in the Amazon Kindle community that suggest this. It’s a matter of opinion, of course, but my opinion is no. It’s simply aggregate data…it doesn’t identify what you are highlighting, it shows what we are highlighting. It’s no different, in my eyes, than when Amazon tells you that “people who bought this also bought this”. That’s the same thing, aggregate data. Do you mind if a book you bought gets on the bestselling list? That’s basically the same thing. When a brick-and-mortar store reported the sale of a book you bought, they didn’t report to the New York Times who bought it, right? If you really want to opt out, you can…but that also opts you out of Amazon backing up your highlights for you. If your Kindle is lost/stolen/dies, you would lose your notes as well. On your Kindle, you can turn that on and off at Home-Menu-Settings. This also makes me think that it is only going to be books you get from the Kindle store: Amazon doesn’t back up the ones you get from other places, and I assume the number crunching at their end is on their website, not on individual Kindles. Once you have the 2.5 update (you can always do Home-Menu-Settings to see your current version at the bottom of the screen), you’ll be able to hit Menu with a book open to choose to see popular highlights in that book (they’ll have a gray dashed underline). I don’t know if you’ll be able to ask the Kindle to show you all of them, like you can with your own notes & highlights (by using the Menu). To turn it on and off for all books, it’s Home-Menu-Settings, and you’ll see a Popular Highlights choice. So, that’s the situation when it is just in the aggregate. But what if you want to tweet (send via Twitter) a passage, or put in on your Facebook page? With the 2.5 update, you’ll be able to do that directly from your Kindle. First, you’ll need to have a Twitter or Facebook account. Then, you’ll be on your Kindle and go to Home-Menu-Settings, and choose Manage next to Social Networks. You’ll follow the instructions to link the account. This is a very different process than shared highlights…you are choosing what to send. Note also that you’ll be able to send notes…not just highlights. You could have all your Facebook friends see your speculation about what was happening in the mystery at a certain point…or make jokes about hokey dialogue (a la Mystery Science Theatre 3000). I’m not sure how it will relate it to the actual text if it is a note, though. I think this could be a huge feature, in terms of cultural impact. It would be an easy way to share notes (or cheat) about a class assignment. A tweeted passage could certainly make you want to buy the book (and I assume the link will be there, just like it does on the shared highlights page. * I’m not naming the biggest e-book of 2009 because it is from a company that blocks text-to-speech access. I’m also not 100% sure it was the biggest, but I think so. Flash! Are newer Penguin books available for EU Kindleers? Some American Kindleers have been pretty upset that books published by Penguin after March 31st, 2010 have not been in the US Kindle store. Those are some really popular books, including one* in a long-running series that even saw a television adaptation. This all has to do (as so much does lately) with the “Agency Model”, a new arrangement between publishers and booksellers. Amazon has concluded negotiations on that with HarperCollins, Simon & Schuster, Hachette Group, and Holtzbrinck (which includes Macmillan). That’s four of the “Agency 5”, who had been arranged to place books in the iBooks store with Apple. The fifth one is Penguin. Amazon and Penguin are apparently still determining terms. April 1st was “Agency Day”, and e-books published before that by Penguin and its imprints are still in the Kindle store. E-books after that? Nope…in the US. I asked my EU (European Union) correspondent (well, we tweet) 😉 Ezh_shatun, to check to see if Penguin books published since April 1st were available for EU Kindleers…and they apparently are! Is the agency model only for the US? I doubt that, but some of you Kindleers outside the US might want to check to see if it says, “This price was set by the publisher.” Let me know if you are seeing that. If that was true, it could be because of different legal climates, but my guess it is going to turn out to not be true. It is interesting, though. I’d love to be able to switch my country to a different to check…but Amazon hasn’t told me that’s okay. and switching to a country just to download books (even though you don’t live there), I would certainly think that’s against your Terms of Service with Amazon. It might even be a federal or perhaps international crime…if you are fraudulently representing your country for the purpose of circumventing the rightsholder’s distribution intent. Tip of the day: even if you travel to a different country, you can still get the books that area available for your country of record. If you move to another country, you can change your country at http://www.amazon.com/manageyourkindle. There is a new update (2.5) coming soon for the Kindle (2) and the Kindle DX! It will not be available for the Kindle 1. It has some things we’ve been expecting, and some about which we’ve speculated. It will update any Kindle (except a K1) automatically eventually through the wireless. It’s a little weird that it appears they’ve taken down the manual software update page for now, in anticipation of this one. We were also told that audible menus are coming in an update, but that doesn’t appear to be part of this. I wonder if that will be limited to on-demand or maybe certification of a disability? I don’t think that will be the case, but it’s interesting that it wasn’t part of this one. This is a continuation of a story (about stories) begun in this previous post. In the first part, we saw how storytelling developed from an idea to an industry. We paused after the introduction of computers, which eliminated the need for book factories to be able to make stories available to other people. There once was a story. For decades, storytellers had worked with publishers to make their stories available. The publishers had worked with booksellers to get the stories to the readers. It was now possible for storytellers to make their stories directly available to anyone anywhere. Storytellers who had never worked with publishers put their stories right out there electronically. However, these were often inexperienced storytellers. Some of them were great, but others were unpolished. For established storytellers, it was more confusing. Yes, they no longer needed the publishers book factories to get their stories to the readers. But publishers hadn’t just printed books: they had collaborated on them. A storyteller might have worked with an editor for decades. They might even feel a collaboration with a particular illustrator. Working with publishers had worked for them. It wasn’t as easy as just saying good-bye. Where would they get advances on royalties? Who would edit the stories? Who would proof-read them? Who would take care of all that money stuff? Publishers were also faced with a new situation. As long as they could continue to get people to buy stories made in the factories, that was good. Most readers would do that at first. However, there were things to ponder. If the authors didn’t need the factories, how would they keep them as their partners? They could pay them more money for each copy of a story. They could try other ways to help them make money. The internet and hand-held electronic book readers meant that they might not need the booksellers. If stories weren’t being sold in a particular town, did you need the expertise of a bookseller who lived in that town? Unlike the old factory days, it might be possible for the publishers to become booksellers. Booksellers also faced changes. In the past, they had bought copies of stories from publishers, and then sold them to the public. The booksellers didn’t have factories. But, they did have computers. Could the booksellers become publishers? Could they deal directly with the storytellers? The booksellers didn’t have editors. The publishers, though, didn’t have people who knew how to sell to the readers. The booksellers had to think. Readers were in for interesting times. Since copies could be made without factories, some kind people made stories into electronic books, and made them available for free. This could be done if the people who wrote the stories not longer had control over made copies, which was the case with a lot of stories. Governments had given the storytellers the right to control who made copies, but only for so long. After that time, the stories belonged to the public. People could always have made copies of them once they were in the “public domain”, but it was expensive to make books and give them away. Electronic books cost very little to give away, if hardworking volunteers created them. Readers had to some extent the role they’d always had: get the stories and read them. Still, readers had to think. There were many complications. Booksellers and publishers had big new paths…and sometimes, they tripped over each other in their eagerness to explore and claim territory. Authors had new decisions to make. They had friendships and loyalties, but they had new opportunities as well. At first, things were very complicated. Try this. Try that. Keep this. Change that. Block this. Allow that. Up this. Down that. Keep it secret. Tell everyone. Tell no one. Let’s do this. Should we include them? We don’t trust them. We used to trust them. Yes, but they are different now. Round and round, things whirled. The internet was like a tornado…grab on to a tree, hide in a bathtub…or grab your surfboard and see where you go. After a time, things would settle down. Some would rebuild. Some would find new homes. Old friends would become friends again. Slowly, things would come back together. No one was quite sure how, and many were very scared. Eventually, though one thing was clear. There was a story to tell. Tip of the day: the credit card you use in the Kindle store for 1-click does not change for your subscriptions when you change it for everything else. If you started a subscription on one credit card, that card will continue to be charged until you change it for the subscription. To change it, go to the Manage Your Kindle page, scroll down to Your Active Kindle Subscriptions, and click Change Payment. There once was a story to tell…but there was no language with which to tell it. Then there was language, and the story was told. It was told to those around the teller. Those who heard the story might tell it to others…but it was hard to tell the story the same way. Music helped: singing a song could preserve a story. It took a special person, though, to get the story right. Storytelling became a job, a respected position in the community. But a storyteller could only tell a story to so many people. The story could be written down, and others could read it. At first, the stories were written in one place…a wall, perhaps. Others would travel to read the story. The ability to read might be jealously guarded: stories were valuable, especially true ones. The story could outlive the storyteller. Then came materials on which the story could be written, and taken to other places. Stories can be long: flexible materials that could be rolled up became the high tech of the day. Still, there might be only one copy of a story. People began to copy stories by hand, although it might be a long and laborious process. It took real commitment, and the resultant documents were valuable. Printing came next. At first, a specific story might be carved on to something, and then pressed on to a recording medium. The story could be copied by anyone with the tools. A major step forward was the ability to put together individual blocks to make different stories. One set of blocks could be used to make different stories. A single device could be used to tell different stories. Stories began to spread to the people. Many books were still expensive, and it tended to be the upper classes who read them…but you didn’t have to be a king or a priest. Materials became less expensive, transportation became easier, and literacy became more widespread. The story could be told to an entire city, a country…the world. As mechanical copies became possible, governments recognized that it wasn’t the single object that was the commodity, it was the story. Laws began to be passed to allow the person who created the story to control the copying…to recognize that they had the “copy right”. But you still needed a thing. You had to have a copy of the book. Eventually, books were produced in huge factories…expensive factories. Those factories were owned by companies. They could set up the machines to print a particular story, print 100,000 of them, and then reset the machines for the next story. The machines couldn’t easily switch from one story to another…so the companies had to guess how many copies they would need of a story, print them, and then switch to another story. That was called a “print run”. Sometimes book continued to sell, and to sell out: they might get another printing, although that would bump a newer book back. The storytellers had the rights to make the copies: the publishers had the ability to make the copies. Publishers needed stories to sell: storytellers needed copies that could be sold. An arrangement was made. Printing copies was an expensive thing. An author would bring a book to a company, and they would decide if it was worth the time and expense to print it. If it was, the publisher would print the book, and pay the authors a certain amount for each copy sold (a “royalty”). It could take more than a year to write a book. If a publisher was confident the story would sell, they might give the storyteller money first, so they had something to live on while they were writing the story (and as an attraction to pick that publisher). That money was an “advance” on royalties. As the books sold, the storyteller would not get any royalties until the advance had been paid back. Publishers and authors also worked together to improve the book, which would benefit them both. The publisher might have a cover artist design a picture just for the book. The publisher might also have an editor, who worked with the author on the story itself. A great editor could help a lot, with suggestions about what was too long or too short, which characters might be more interesting than others. The editor might have worked with many books of a particular type, and knew what worked well. Authors and publishers might develop a strong relationship, a collaboration that might last decades. The publishers, of course, couldn’t deal with individual people coming to the factory to buy books. They needed the books to be where the people were. They needed shopkeepers who knew how to sell the books…how much the people in that community would pay for a book. The publishers and booksellers also had an agreement. The publishers would sell the copies to the booksellers, and the booksellers would sell them to the customers. The publisher knew how much work had gone into the book, and how much they needed to get for each book to make a profit. They would suggest a price to the booksellers, and that was how the booksellers would know which books the publishers thought were more valuable than other books. Some might have many pictures or be the result of years of research. The bookseller would buy the copies from the publisher for half the price the publisher suggested should be the selling price of the book. The publishers would pay the authors from that money. The booksellers adjusted the sale prices as they saw fit. Knowing how much customers in your community would pay was a special skill. The price might vary, depending on what was happening locally. Since the booksellers owned the copies they bought from the publishers, they could do what they wanted with them…even give them away. However, the booksellers would be afraid to buy books if they weren’t sure they could sell them. Publishers would offer to buy back the books if they didn’t sell…for credit to buy more books in the future. This is how the system worked for decades. The storytellers would tell the stories, sometimes with help from editors who worked for the publishers. The publishers would make the copies in the factories and sell them to the booksellers. They would pay the storytellers from the money they got. The booksellers would sell the books to the readers. The stories would be told. It took large factories to print enough books to make enough money to pay the authors. Someone without connection to a factory had a hard time selling books. The booksellers also liked that the big companies with the big factories had warehouses and could get them more books quickly if they sold well. The life of a book was often somewhat short: most of the sales happened at the very beginning. The publishers also started making books in two styles. First, a more expensive, more durable, traditional book. Then, a year later, a cheaper version for the masses. They could have made them both at the same time, of course, but the people who wanted the nicer versions didn’t want to wait and were willing to pay for them. People getting cheaper versions were willing to wait to pay less. With computers (and the internet), people could send stories anywhere. They didn’t need a factory. A storyteller could tell the story, and people with computers could read it. Computers, though, were hard to carry around (the first ones were as large as the walls on which the first stories were written). People didn’t like reading books on computers…they wanted to read them in the park or on the bus. After awhile, small computer book readers were created. Readers could carry them just like a book, but read different books on them. At first, not very many readers used them. You still had to connect them to a computer to get your books. Finally, ways to get books on to the electronic book readers without wires were invented. Now, readers could get their books in electronic form. The electronic book readers were also made to seem more like a book than like a computer, which readers liked. No factories were needed to make those books. Tip of the day: files on your computer have an “extension” that tells the computer which program to use to open it. It is usually three letters after a period. When you connect your EBR (E-Book Reader) to your computer, you can see those extensions. This tells you in what format is the file. Lately, there have been a preponderance of faith-based publishers in the freebie selection in the Kindle store. This is happening so often that there have been several threads started about it in the Amazon Kindle community. There are two main factors behind this: it is both a step up by faith-based publishers, and a step-down by non-faith-based publishers. I regularly put out Freebie Flashes, which list newly free titles, so I have a pretty good subjective sense of this. I did want to take a look at the actual numbers, though, to see what was happening. There are 59 freebies in the Kindle store right now which are neither public domain (books not under copyright protection) nor part of Amazon’s Breakthrough Novel competition. When I define a publisher here as faith-based, it’s because I’ve been to their website…and that’s what they say (or Christian, or similar words). 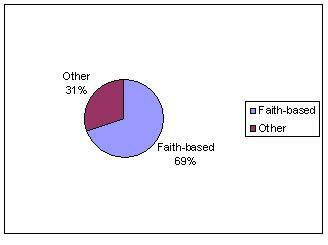 Faith-based, by the way, doesn’t automatically mean Christian, but it commonly does for e-book publishers. When I analyzed the books I came up with 41 from known faith-based publishers, 18 from other publishers. When in doubt, I left it as non-faith-based. I counted Steeple Hill, from Harlequin, as faith-based. It is an imprint of Harlequin, a romance publisher, but this is “…specifically for modern and savvy women of faith”. So, that makes it pretty clear. Right now, the majority of freebies in the Kindle store are from faith-based publishers. Nope. I’ve checked it before. We used to have quite a few science fiction titles…Random House provided a number of them. We still have science fiction/fantasy titles in the freebies. We also have a number of romances…that’s been true for a while as well. Some of them are imprints of the others. Del Rey and LucasBooks are both part of Random House. Mira, Steeple Hill, Kimani, Luna, and Silhouette are all part of Harlequin. Right now, if you don’t want to read faith-based books, and you don’t want to read anything from a romance publisher, and you don’t want to read public domain books, you don’t have a lot of choices in the Kindle store. You certainly have some, but not that many. Before I get a bit into speculating on the “why” of it, let me suggest that you might want to try some of them anyway. Up to you, of course, but I’ve generally found something valuable in anything I’ve read. 🙂 When I was a bookstore manager, I read something from literally every section in the store, and included my employees to do the same. I asked my customers for suggestions, and they had some good ones. Yes, the romance I read was worth my time. Yes, the “Men’s Adventure” book I read had one of the best plot twists I’ve read in anything. I don’t generally select romances to read, but I went on to read that entire series (it was The Survivalist by Jerry Ahern) in Men’s Adventure. Why do faith-based publishers give their books away? Certainly, some of their reasons may be the same as any other publishers. They may be seeking to inspire sales of other books. They follow that same pattern, of releasing the first book in an established series for free. The desire may simply be to have people read the first book for free, and then go on to purchase the other books. However, that doesn’t differentiate the faith-based publishers. There are several faith-based publishers making e-books available free: not so many of other kinds. Why? Well, it may be as simple as wanting to “spread the word”. It may be the hope of the publishers that they can reinforce the belief of the believers, and reach out to people who might be undecided. The Gideons put Bibles into hotel rooms. The Jehovah’s Witnesses don’t charge you for The Watchtower when they come to your door. I’ve been given a religious book by “Hare Krishnas” at an airport. Not all religions actively seek new members, but many do. Does that mean that the purpose of faith-based books is to “indoctrinate” people? I know some people think it is “sneaky”…I’ve seen reviews where readers felt “ambushed” when a religious element was entered into what had been a seemingly mainstream (or genre) novel. Well, I will say this: the publishers don’t hide who they are. True, you won’t always see a big cross on the cover, like an R rating at a movie. But it will say who the publisher is somewhere on the book, and often identify the book in some way as faith-based. They want to find the people who want those materials, who see it as a plus. Why are fewer other publishers giving books away? That’s an interesting question! One hypothesis is that it might be connected to the agency model and the contracts some of the big publishers have recently signed with Apple and Amazon. After all, rumor has it that those contracts say they can’t sell the book lower anywhere else. Maybe they don’t want the books to be free everywhere, so they don’t make them free anywhere? It’s free in the Kindle store, $6.99 at Barnes & Noble. That suggests that B&N hasn’t signed the agency model (yet) with HarperCollins. That makes sense. While you can’t buy Penguin books published since March 31 2010 at the Kindle store (due to agency negotiations), you can’t get this book free at B&N. It’s also $7.34 at Sony (Sony is often higher at this point). I presume this means the agency model isn’t in place there either. Hmmm…could publishers charge different prices in different ebookstores under the agency model? The former retailers couldn’t change the prices, but Macy’s doesn’t have to charge the same price for the same product in all of its stores. New York stores, for example, pay higher rent than, say, Kansas stores. Higher prices might reflect that. It’s also possible that the agency model is still rolling out to all the stores as the contracts come due. Could the agency publishers be “punishing” the public by withdrawing free books? I don’t think that’s likely at all! If it makes economic sense to give away some books, I still think they’ll do it. One could argue that allowing text-to-speech doesn’t cost anything, and some publishers have blocked that access. I don’t think that’s equivalent, though. They say they are blocking text-to-speech partially to protect audiobook sales. That’s possible. They may also want to eventually charge for text-to-speech. However, free books are calculated to sell more books. Text-to-speech would sell more books as well, I’m sure, but I can still see publishers giving away some books while blocking text-to-speech. An important point: HarperCollins is giving away books…and they are not blocking text-to-speech, to my knowledge. Is that a combination? Block text-to-speech, don’t do free books? Too soon to draw that conclusion. Overall, we can say that most of the free books in the Kindle store are faith-based. Many of the others are romance. The Del Rey and Random House books are from a publisher blocking text-to-speech…but that is not one of the agency publishers. This may all change going forward…we’re riding the maelstrom right now. Tip of the day: if a book is published under the agency model, Amazon says “This price was set by the publisher” on the book’s product page. This is huge! The nook (sic), the EBR (E-Bo0k Reader) from Barnes & Noble, has always been in direct competition with Amazon’s Kindle. They are both dedicated e-book readers (although they do a couple of other things). They both are connected to bookstores. There were significant differences, some favoring the Kindle, some the nook. One big Kindle plus was text-to-speech. One thing that some people liked on the nook was a little color LCD screen at the bottom. It was there for getting books from your library (selecting from the color covers), but there was always talk from them that it could be used for web-browsing as well. Well, now it’s here! nook owners can now browse the web, do e-mail, and so on. You navigate with the little LCD window, but the site displays on the E Ink (as well?). They do label it as a “beta” (test version), but are promoting it. No Java or Flash. They also say they’ve sped up page turns and improved the book openings…the latter would be particularly nice. I’ve only played with a nook once, and it completely locked up on me opening a book. You can also now connect in more places through wi-fi…the screen shot shows a place to enter a password. All in all, these are good concepts and greatly enhance the value of the nook. I was on author Stacey Cochran’s Book Chatter last night. It was an interesting topic, and I felt honored to be invited. I was on with Jim Naureckas of Fair.org and Andrys Basten of A Kindle World. We were addressing the idea of media bias against Amazon, and particularly focused on two articles. I barely got on to the call on time…heavy traffic coming back from work. from the New York Times by Motoko Rich and Brad Stone on March 17, 2010, seems to me to be clearly a negative article in its approach to Amazon. I think we can make some objective judgements about the subjective nature of media pieces. I don’t think we can judge motivations, necessarily, but we can say if the piece is presented in a fashion likely to sway opinions in one direction or another. For example, we can look at positive and negative adjectives and verbs used about one party or another in the article or segment. We can debate whether a particular word is negative or positive, but that’s pretty easily determined by surveys. Those are just a few. You could argue that “stop” isn’t necessarily a negative word…I included it on purpose. I think, though, that most would agree that “pressuring”, “demanding”, and “threatened” are negative. My guess is that most people who look at the article will see it as negative against Amazon…whether or not that is deserved. It’s a lengthy article, and I’d tweeted that I thought it was the best article to date on the e-book business. Being the best doesn’t mean that it is perfect, of course, but I do think it gives a good sense of the history. Many of the quotes are attributed, and there are facts and figures. However, it does paint a picture of Apple helping publishers against Amazon, in my opinion. But I don’t want to just go by my opinion…I always like to try and break things down more objectively. I actually love it when I have one hypothesis, crunch the numbers, and get proven wrong. Don’t get me wrong…I like being right, too. 🙂 I’d say it appeals to my sense of fair play that I’m willing to be proven wrong by analysis: that’s what science is, of course. You make a hypothesis, and invite others to destroy it…you can even help them do it. That way, if it stands, you know it is a good one. Before I do the analysis, I’m going to suggest here that anonymous negatives are the best indicators of bias…if the “author’s voice” elements aren’t obviously biased (such as was the case in the New York Times piece, based on the adjectives and verbs used). Why? Well, there can surely be selection bias in what attributed pieces are used, but you are quoting other individuals, rather than presenting your own ideas. In terms of the “indefinites”, those are simply too weasely to affect people as strongly. I use “weasel words”, by the way…nothing wrong with that. 😉 I don’t want to presume the absolute when I am talking about something…I’ll use words that allow for some “wiggle room”. So, let’s break this down a bit (but not so much that we go beyond fair use, of course). I took the story and began to separate it into four sections: author’s voice; named individuals; anonymous individuals; and indefinites. That’s pretty unequivocal. Well, “for the moment” might be equivocating, but in the current situation, it makes it clear that Apple is the good guy. I see standing on someone’s neck as a negative, but this seems to be set up as a battle: Amazon on one side, publishers (and authors and bookstores) and Apple on the other. Some might see it as a positive, as Perseus defeating the Gorgon. Really? In my opinion, the most damning part of the article is the suggestion that Amazon wants to kill paper books. The author says it, in this case speculating about Jeff Bezos’ though process. Amazon clearly sells literally tons of paperbooks. Yes, they sell a great deal of other things as well (include windshield wipers). Where is the sourced statement (and we get many in the article) where Jeff Bezos says he wants paperbooks to go away? He has talked about how paperbooks decay, but I think Amazon has been careful about suggesting e-books are better than p-books or should replace them. I didn’t find a lot of positives in those unnamed individuals’ statements. Do I still think it is the best article written to date on the e-book business? Yes, I do. While there is a clear narrative being presented, I don’t think the facts or timeline are inaccurate. I think it hits the key points. However, I think an equally accurate article could present Amazon as the savior of the publishing business and especially, as the authors’ friend. Hmmm..I think I’ll save that for another piece, although you may want to go back and read this previous post, Why are authors so angry at Amazon? Tip of the day: you can read Amazon’s current terms for independents using their Digital Text Platform here.